Authors: Goldberger, J. 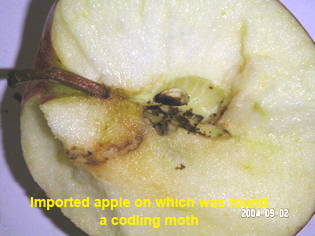 A., Lehrer, N., and Brunner, J. F.
Title: Azinphos-methyl (AZM) phase-out: actions and attitudes of apple growers in Washington state. Source: Renewable Agriculture and Food Systems. 2011. 26(4):276-286. The lychee, also known as litchi, grows on a tropical and subtropical fruit tree native to southern China, Taiwan, Bangladesh and Southeast Asia, and now grown in many parts of the world. The lychee has a history and cultivation going back as far as 2000 BC. In the 1st century, fresh lychees were in such demand at the Imperial Court that a special courier service with fast horses would bring the fresh fruit from Guangdong. It was first introduced to the west in 1782. The fresh fruit has a delicate, whitish pulp with a floral smell and a fragrant, sweet flavor. Dried lychee are often called lychee nuts, though, of course, they are not a real nut. Litchi downy mildew is a devastating disease of litchi plants in China. Control of litchi downy mildew requires numerous fungicide applications. “Litchi (Litchi chinensis Sonn.) is a tropical and subtropical fruit of high commercial value. 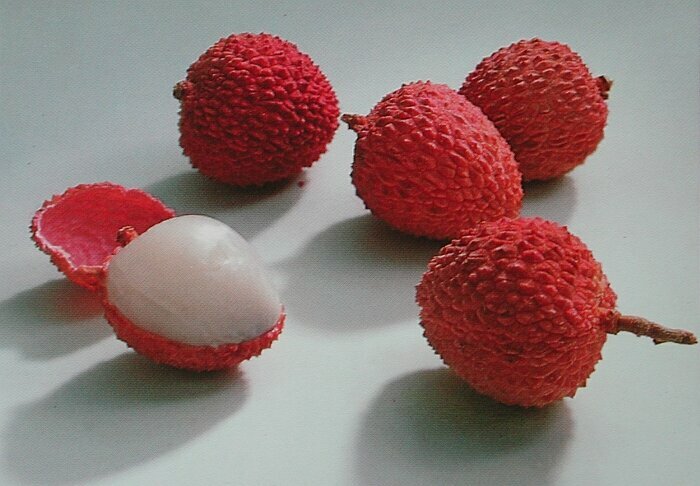 Most litchi fruits are produced in China, India and Vietnam. 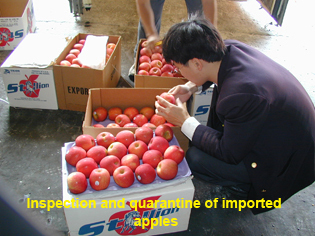 In 2001, the world litchi production was approximately two million tons, and approximately 1.26 million tons were produced in China… However, the fruits are very susceptible to many diseases with significant losses in quality and yield. One of the most prevalent diseases is litchi downy blight caused by the peronosporomycete Peronophythora litchii. P. litchii damages fruit, panicles and new shoots, causing panicle rot and withering, as well as watery brown spots on fruits which later produce snowy mildew. More than 60% of commercial losses have been reported after successive rainy and overcast days in the growing season. Authors: Wang, H., et al. Affiliation: College of Plant Protection, Nanjing Agricultural University, China. Source: Journal of Phytopathology. 2009. 157:407-412.